Recently thanks to the Meeple Like Us boardgames blog I learned about the idea of a Depth Year, to cut consumerism, focus on what you already have etc. To read more about the concept, see their post. There’s also a related Facebook group. I really like the Depth Year idea. My goals are modest. I’m not going to cut out new purchases totally. But I’d like to catch up more on things I already have. Because of a MS-like illness I rely on ebooks mostly to read now. I can adjust the font size and spacing hugely. My Kindle is a bit of a lifesaver, but I usually buy bargain 99p books I want, that I’ve previously put on my wishlist at full price. I’ll still do that, but will focus on reading things I already have. Alongside that I have a number of academic books and research projects that I want to get on with. All severely hampered by extreme reading problems and time/energy issues from the illness. My goals there are more extreme: no new purchases next year, and focus on working through my existing ones. One big weakness of mine is Big Finish Doctor Who audios. I’m prone to buying new ones when I haven’t listened to all my old ones! I’d like to say no new purchases in 2019, but 2019 is a special anniversary year for Big Finish, and they’re bringing out some stunners that I’m very keen to get. And that will shoot up in price after. So I will be buying. But before then I want to prioritise listening to my backlog, and selling on eBay in CD form anything that I won’t want to keep. That last point also relates to clearing out my study. It’s a calving as I’d be told about my bedroom as a child 😉 So, again, read or listen, then choose to discard (sell on eBay or give away) or for a few things keep. Aim being to clear out stuff. Where I probably won’t cut back is on my monthly subscription comics. I really enjoy getting these in the post, from Forbidden Planet. But since I usually sell them straight on afterwards, and often for quite a profit, I think that’s ok. So yes, a mix of modest goals, bearing in mind my situation. Aim to try to catch up on my backlog, reduce new intake, and have a good time. Just blogged some thoughts about autosomal (all branches) DNA testing, and how those results have compared with my conventional paper-based research. Very much genealogical focused, but interesting from a wider perspective, viewed through the lens of general historical research, which frequently has to piece together stories from incomplete paper records, but can’t usually fall back on science to confirm things 100%. Some months ago I blogged about a major DNA breakthrough, confirming that I’d traced my Irish great granny properly. DNA testing was needed to be sure of the line, because we lack certain conventional key paperwork, and so it was enormously difficult to trace back. That testing was with FamilyTreeDNA, using their FamilyFinder test, which finds chunks of DNA from all branches of the ancestral tree. This is called autosomal DNA testing. I’ve since tested with AncestryDNA as well, which is a purely autosomal test, and have found that very useful too. It’s confirmed numerous ancestral lines, that I traced the conventional way through paperwork. So I thought it might be worth reflecting on that. Really good article about doing historical research with fragmentary source material. I blogged recently about my productive time at the recent Guild of One-Name Studies regional meeting at Perth, Scotland. I was asked after that event if I could record a version of the talk I gave, and put it online. It’s now online, and this blog post gives more details, as well as the YouTube link. I gave a talk recently about my Cavers one-name study at the Guild of One-Name Studies regional meeting at Perth, Scotland, on 2nd November 2013. I was asked afterwards by fellow Guild members if I could put a version online. I’ve just recorded a new version, slides and audio. It’s just under 16 minutes long, and is essentially the same talk as before. I talked about how my one-name study has evolved over 30 years, including changing techniques, benefits and challenges of digitisation, and moves into social networking. Here’s the link. 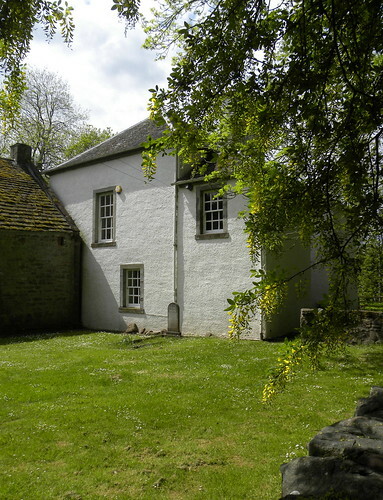 Wonderful blog post, full of photos, about historic Innerpeffray Library in Perthshire. You know when people share their favouritest place with you, and you’re afraid you’ll hate it and that it will cause problems between you and all that? 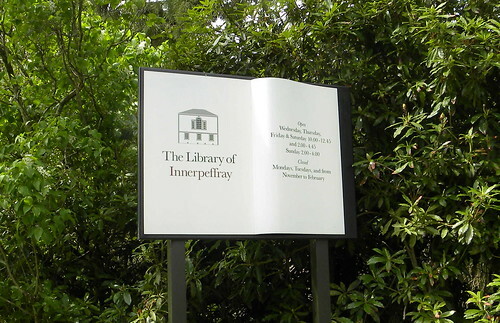 Helen Grant has been going on and on about Innerpeffray Library – almost in the middle of nowhere in Perthshire – for so long, that I thought she might, just possibly, be deluded. Dear reader, she’s actually right. 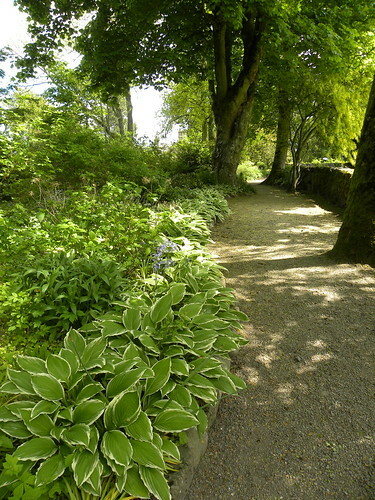 Innerpeffray is the place to go (especially if it doesn’t rain) for the library experience with a difference. (Pardon me if I sound like an advertisement.) 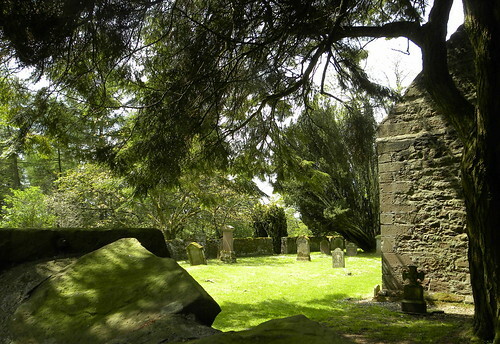 It’s a beautiful old building, next to an old chapel – with graveyard – in the loveliest of settings; green fields with sheep in, a grassy ‘drive’ covered in tiny daisies, lovely plants along the path there, future nettle soup on the side, and a warm welcome when you arrive.